We have expertise in a wide range of problem solving tools that can help to eliminate any obstacle you have. Expand the boxes below to find out more. Hoshin kanri starts with a strategic plan developed by top management. Once a 3-5 year strategic vision and plan is set, mid-level managers develop tactical objective that support the strategic objectives defined by top management. On the production floor level, team leaders an managers work out the operational objectives and details that link directly with the organizations vision. An import method to the success of the process is called "catchball" which ensures the strategic objectives make their way down to the production floor. 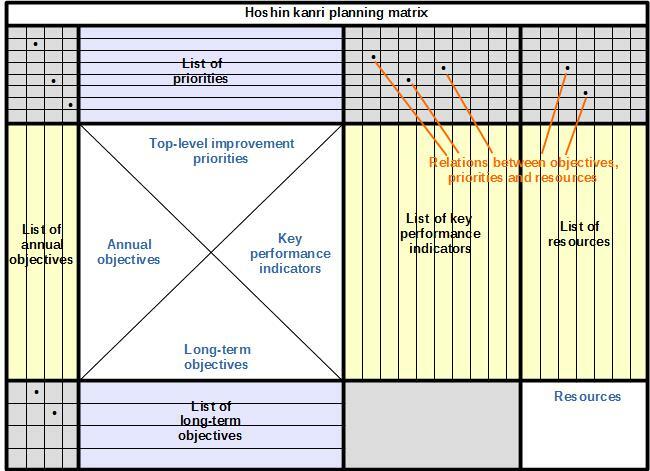 Hoshin kanri links strategic vision to measurable results. It also allows for operational focus and sets priorities when there are limited resources. This ensures they are used efficiently and effectively and keeps the focus on the top priorities. A strategic plan that permeates through the entire organization, utilizing every employees full capacity to support the plan. 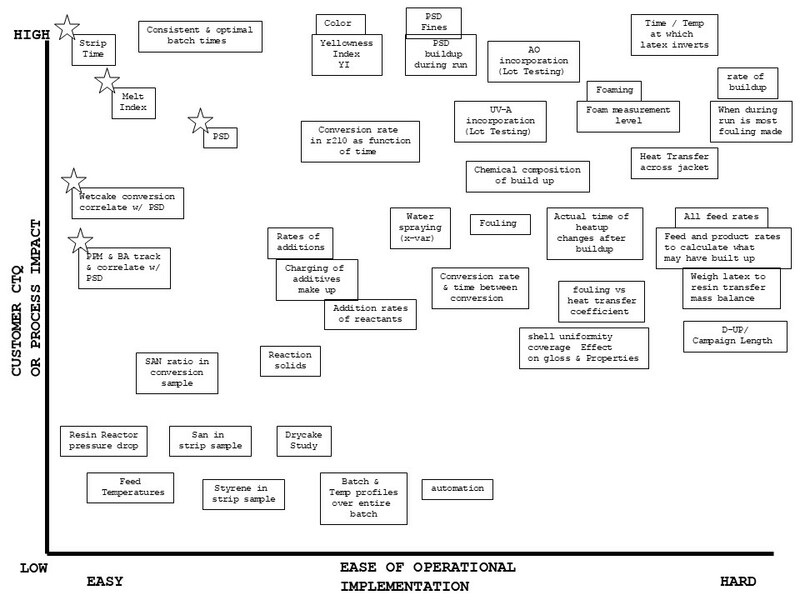 This is the type of Value Stream Map your competitors are doing. To see our difference click on eVSM - A Strategic Advantage above. What It Is: Value stream mapping is a tool that helps you to see and understand the flow of material and information as a product or service makes its way through the value stream. 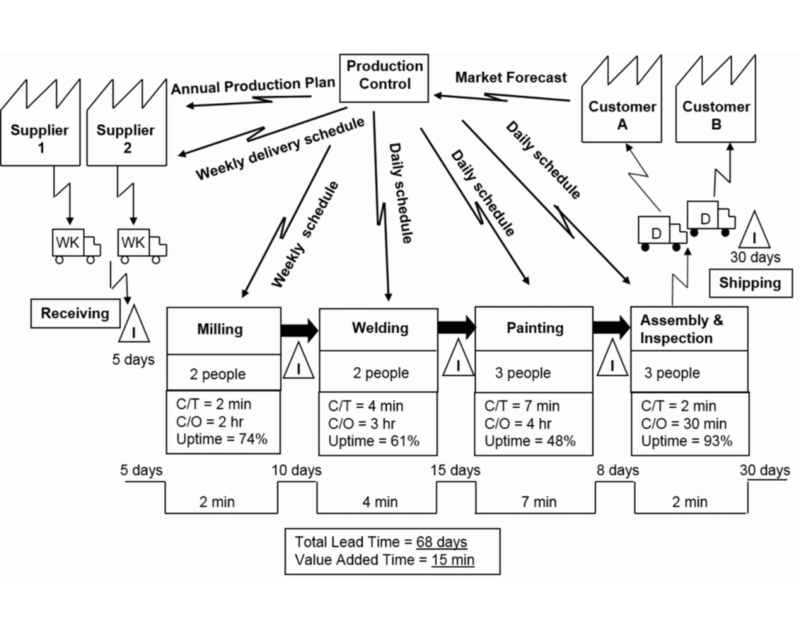 Value stream mapping is typically used in Lean Manufacturing and Continuous Improvement efforts and it differs from the process mapping of Six Sigma. A value stream map will take into account not only the activity of the product, ie how it's made, but the management and information systems that support the basic process. Why Use This Tool? 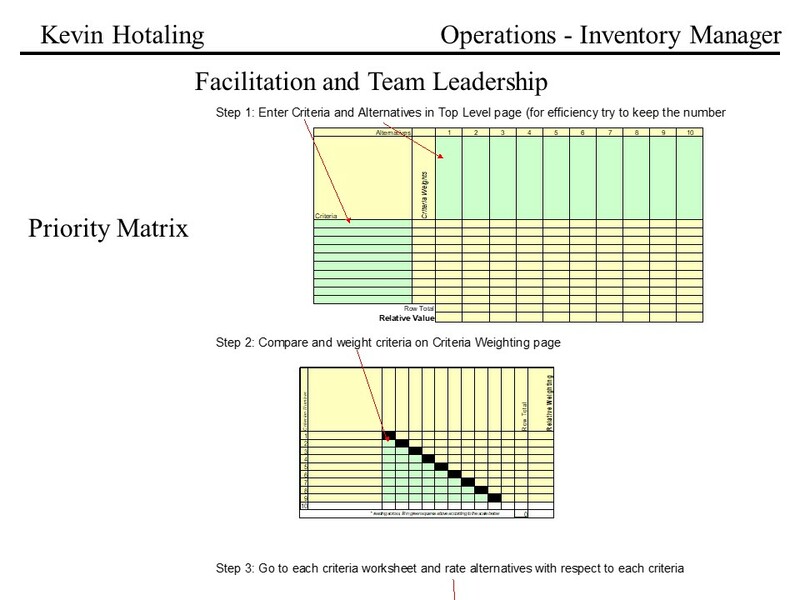 As a management tool, value stream mapping is used to graphically illustrate, analyze and understand the flow of materials and the information needed to process them. 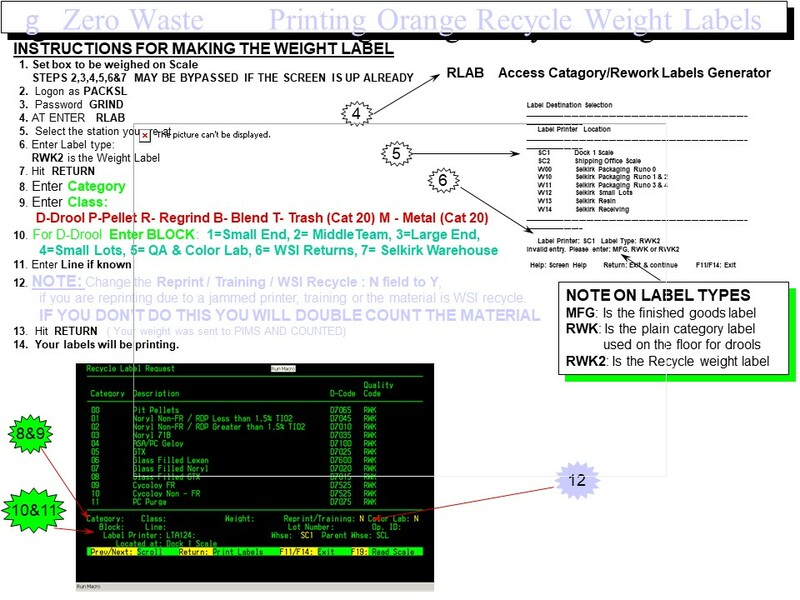 This is a complete picture of what it takes to complete manufacturing or production process. 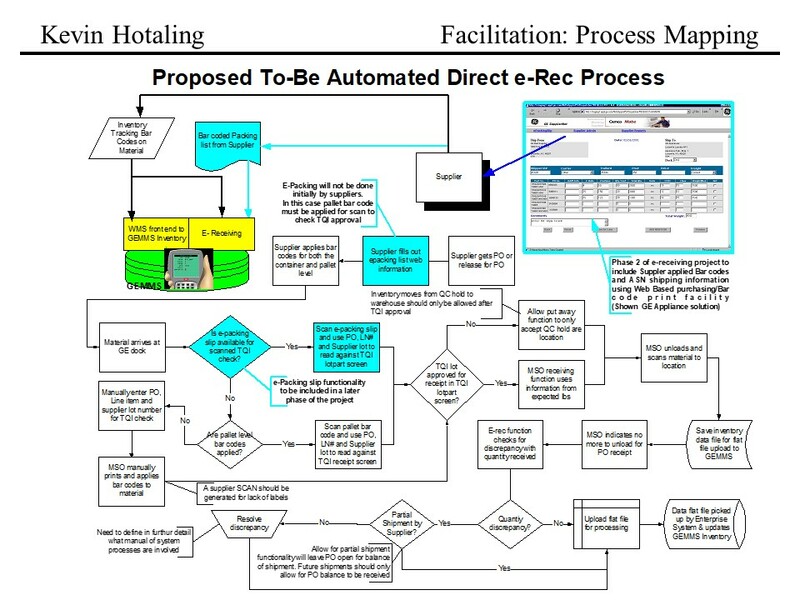 The End Result: An accurate visual representation of all the steps necessary for a process to be completed. 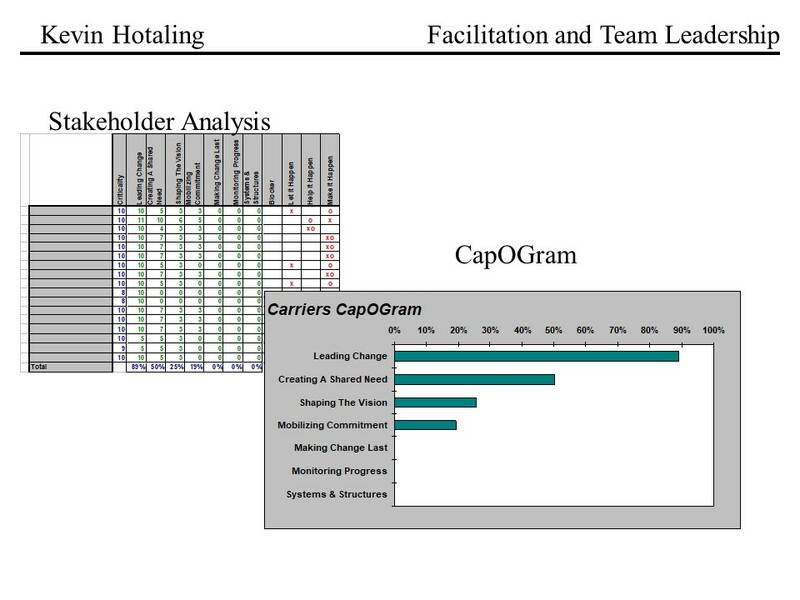 You can run "what if" scenarios for what the future process would look like and identify kaizen opportunities for improvements that will need to be made to achieve the desired state. 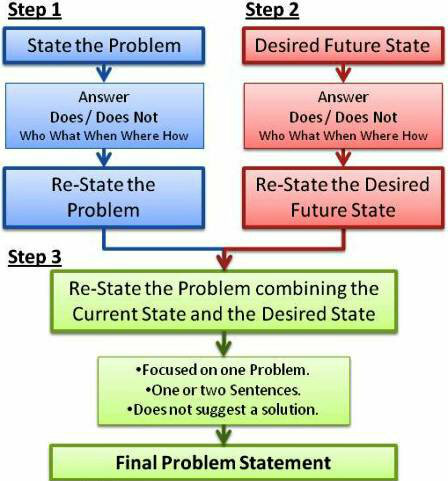 A simple, straightforward tool for helping a group get clear on the problem in both an "as is" and "desired state." Use of specific questions will help craft a powerful problem statement that is meaningful with the “as is now” process but also allows for the desired state to be uncovered. This tool is especially useful when the group is cross-functional. Its use is very important when the group is having a hard time being specific as to what the problem is. For example saying, “We have poor customer service," vs the more detailed and quantified, "Customer complaints about our product being broken when it arrives have increased 3% per month for the last 6 months." 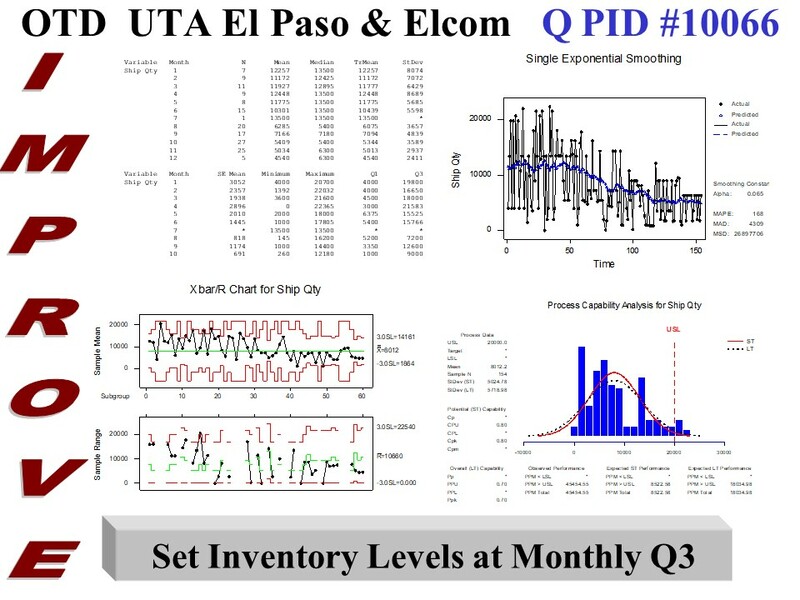 It also will provide the initial roadmap of what data the team needs to effect this. It can be “pre-work” done by the business leadership to make sure there is a link to the organization's strategic vision, and inturn, help to define the cross functional team needed to solve the issue. 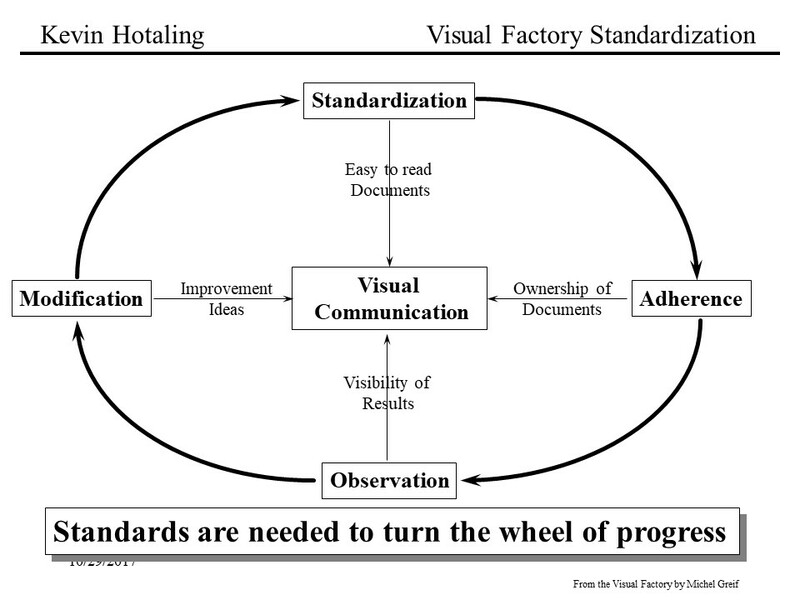 A problem statement that is quantifiable and measurable that points toward an improved "to be" process vision. Force field analysis helps display those forces which help you — and those which hinder you — from closing the gap between where you are now and where you want to be. This tool also helps everyone to see that we are doing some things good, we may just need to do more of them. Forcing us to think together about all the facets of a desired change, thereby encouraging creative thinking. Helping us to come to a consensus about the relative priority of factors on each side of the sheet. Providing a starting point for action. A visual document that explains both sides of the issue. 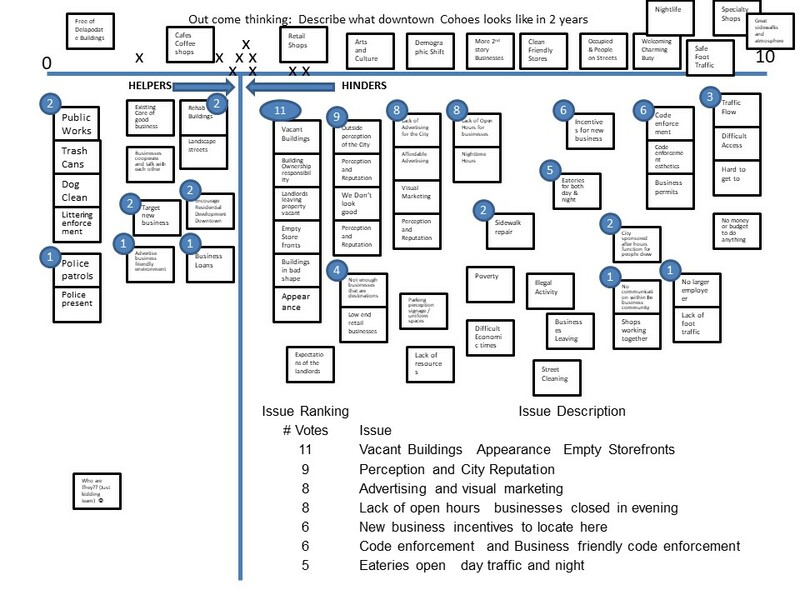 Through the addition of a multi-voting process, the team can identify the most important causes to the problem and have a road-map for developing action plans for success. Cause and effect diagrams are graphic representations used to identify and organize known or suspected causes of a known problem — also called the effect. 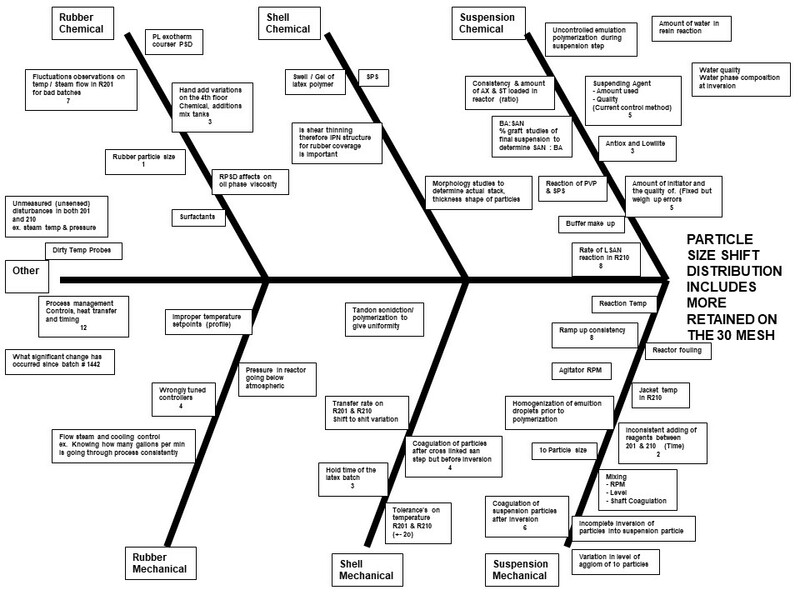 This tool is used to gather and organize ideas on what causes might lead to a particular problem/effect. Cause and effect diagrams are also known as fishbone or Ishikawa diagrams because they look like fish skeletons and were created by Kaoru Ishikawa. 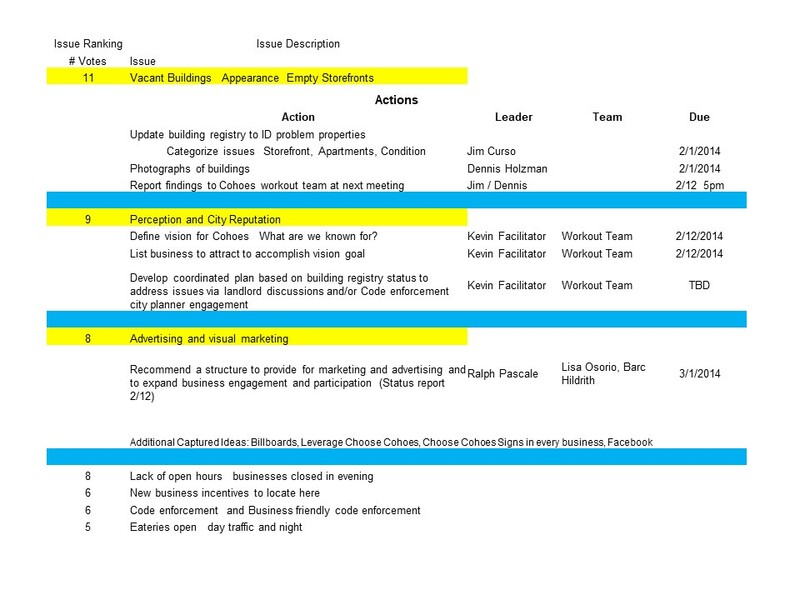 This tool can help the team organize their causes around major categories, sometimes called the "6 M's." When used in conjunction with the "AS WHY 5 TIMES TECHNIQUE," it can help point to root causes of problems. If we then solve the root cause, we solve the problem. A detailed representation of all the causes for our problem. 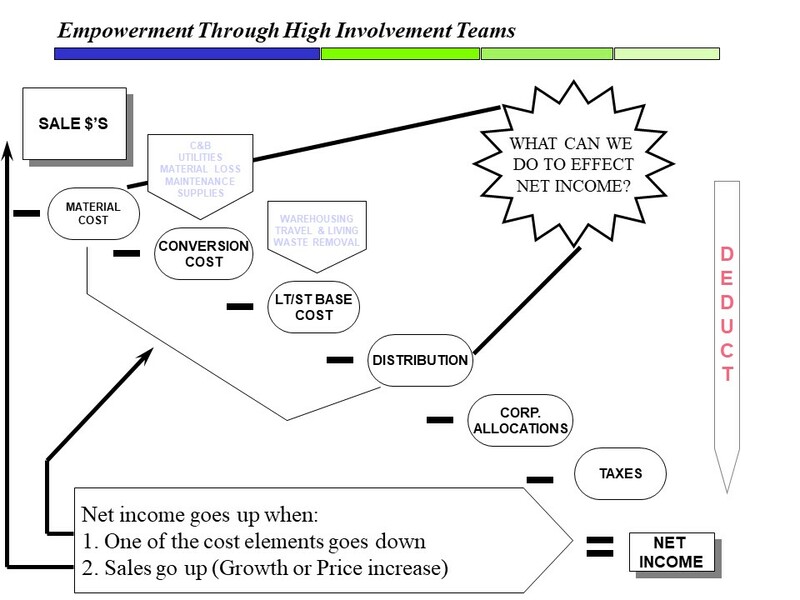 Getting to root causes and identifying them can focus a team to the optimal action plan. Process Mapping is a powerful tool to uncover rework, useless steps, missed steps, wasted time, extended approval cycles, sloppy requirements, shoddy work, excess inventory and other operational inefficiencies that drain net income. 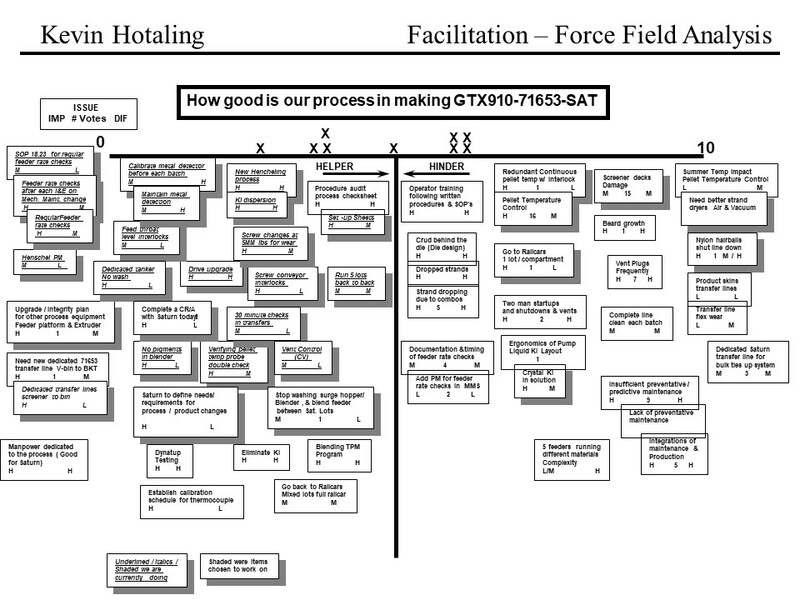 As a tool, Process Mapping borrows heavily from the "flow charting" model familiar to engineers as it seeks to identify the activities, decisions, delays, tasks, choices, inputs, and outcomes—which make up the process by which a work output is created. Process Mapping is most appropriate when it is unclear where the problems within a work process are located and can help determine where the real costs lie. 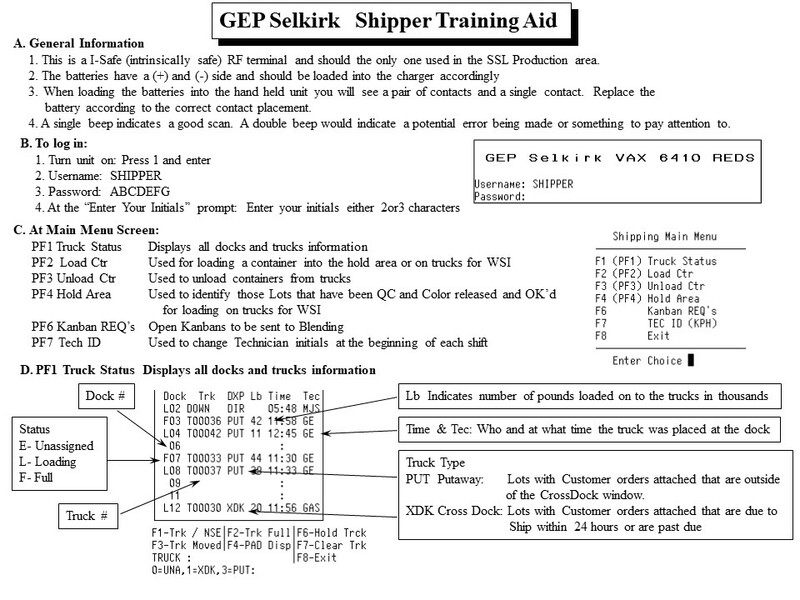 In turn, Process Mapping can be a powerful tool for problem solving and cost out savings. Sometimes after creating the "as is" map, we can find immediate solutions just by eliminating unnecessary steps. Rarely does any one person in an organization really know all of the steps concerning a process, whether it be material movement, information flow, or processes that cross functional lines. I find that when teams work together on creating a process map, inevitably they are surprised in seeing the final map of the "as is" process. An accurate visual representation of all the steps necessary for a process to be completed. This tool has the ability to make some quick hits for improvement by having the team create a new and more streamlined "to be" process. 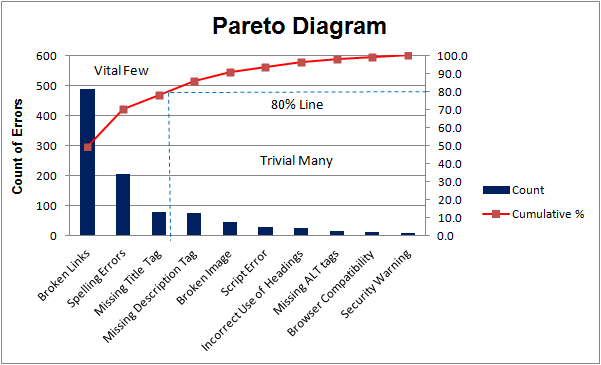 Pareto analysis is a technique that separates the "vital few" from the "trivial many." The Pareto analysis illustrates for us the familiar 80-20 rule (eighty percent of our business comes from twenty percent of our customers). By drawing attention to problems or causes in a systematic way, Pareto analysis helps groups to set priorities. The basic concept is to rank and present data in the form of a Pareto diagram. Like a bar graph, a Pareto diagram shows a distribution. The bars of a Pareto chart, however, are arranged in descending order. Through the use of data collection, the Pareto Analysis shows where the team will get the best results by focusing in on the largest issues first. A depiction of the vital few for coming up with action plans to resolve the largest issues. 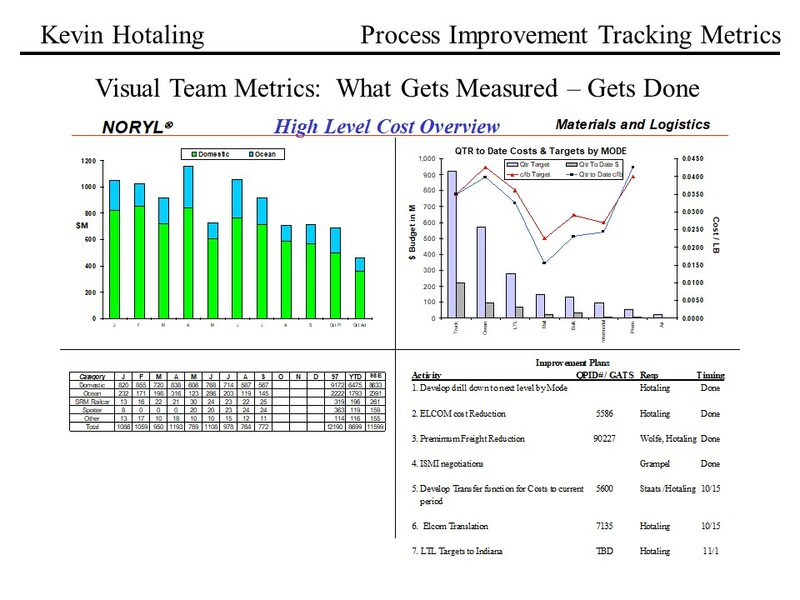 A one page summary used to report the progress of a continuous improvement program. It can have many different kinds of informational segments but many times includes: 1. 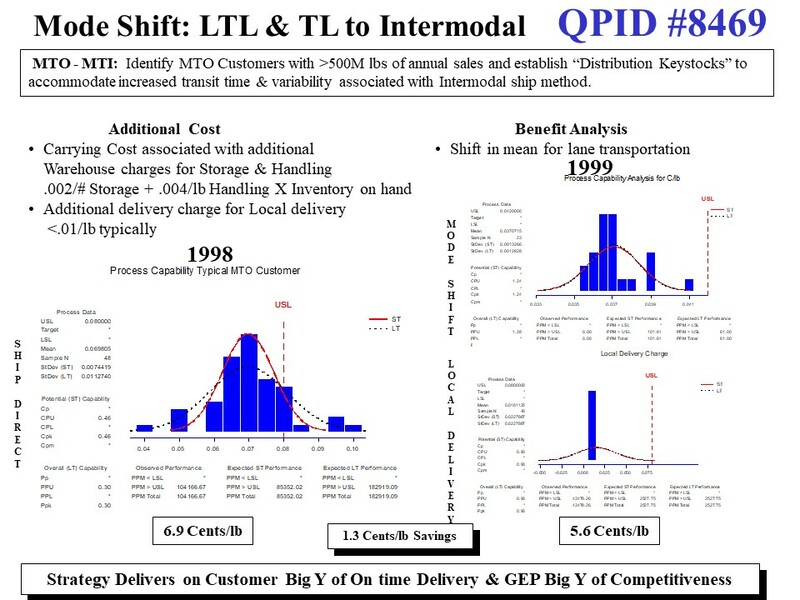 A Pareto Analysis 2. A subset of the "Vital Few" 3. A tracking mechanism 4. The action plan with responsibilities. The 4 Block is a quick way to report out to leadership on the progress of the team. Because it contains critical elements of the DMAIC (Define, Measure, Analyze, Improve, Control) continuous improvement process, teams can quickly see the positive results of their efforts. An informed and engaged workforce centered around continuous improvement.